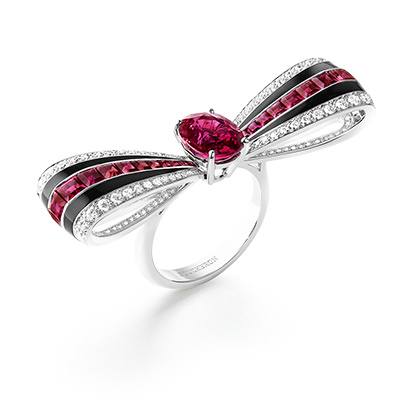 infused with memories of all kinds of fabric and materials. 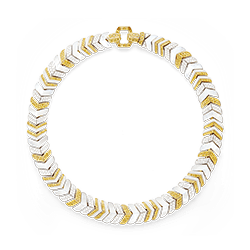 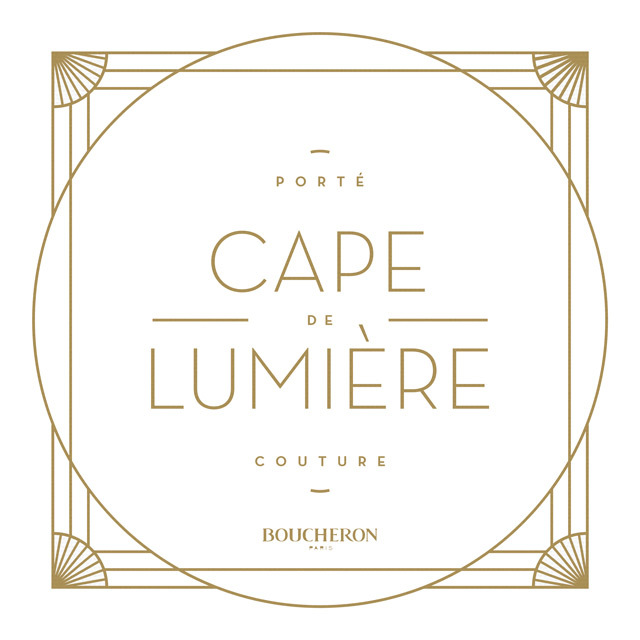 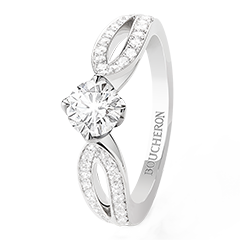 With this Mantle of Light, Boucheron pushes back the boundaries that separate jewellery from clothing. 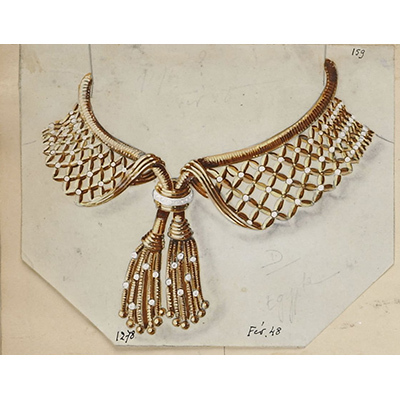 It was entirely created on a dressmaker's dummy to ensure perfect fit, drape and suppleness, and its elements are interconnected by a woven mesh of golden thread. 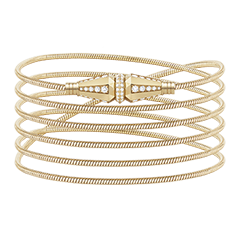 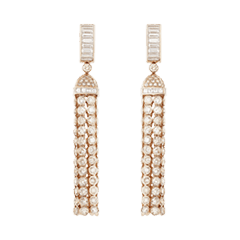 From the chiselled cut of the overall piece to the delicacy of its twisted chains inset with diamonds, this Mantle of Light stretches the limits of jewellery-making further than ever. 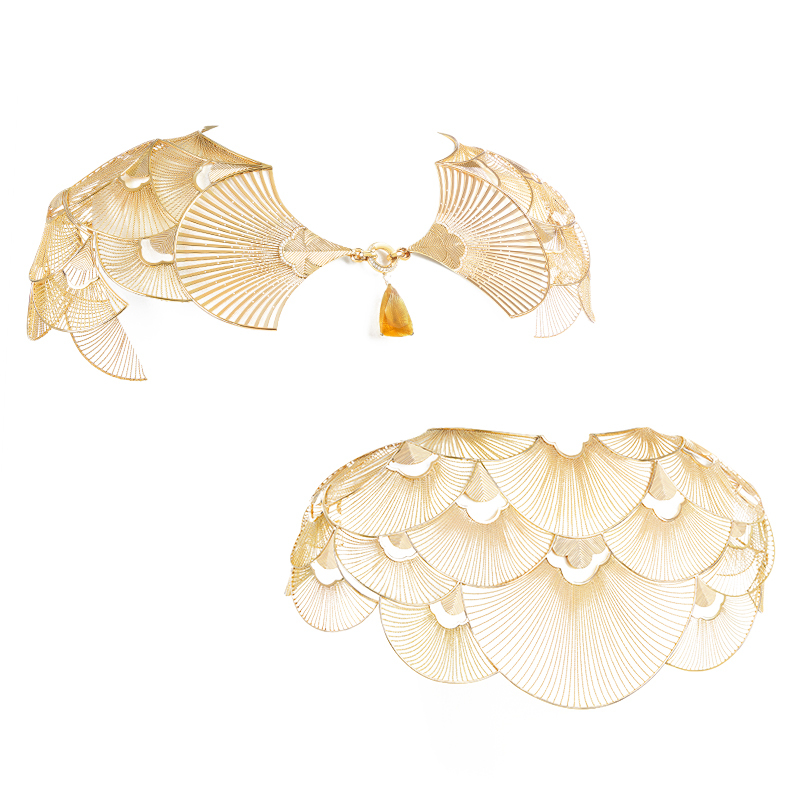 Cape de Lumière, yellow gold-woven, set with a 81,61 cts citrine, and paved with diamonds. 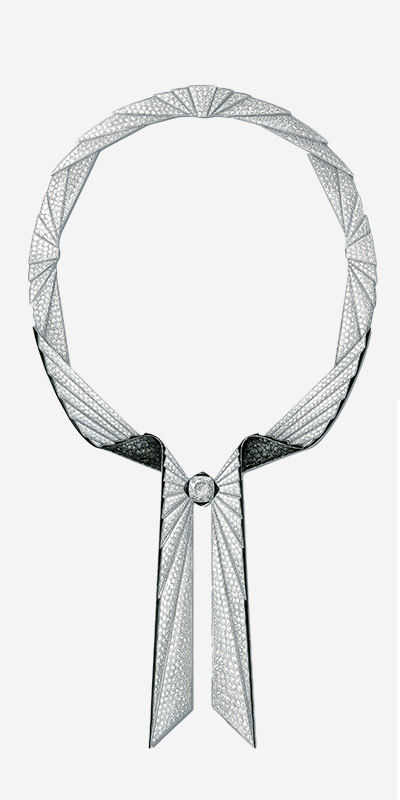 Plissé Diamants necklace, set with a 7,81 cts diamond, paved with diamonds, black spinels, and onyx, on white gold. 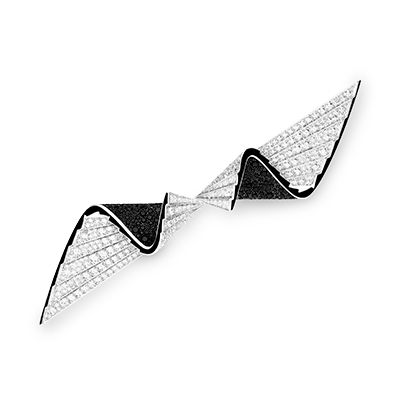 Plissé Diamants brooch, paved with diamonds and black spinels, on white gold. 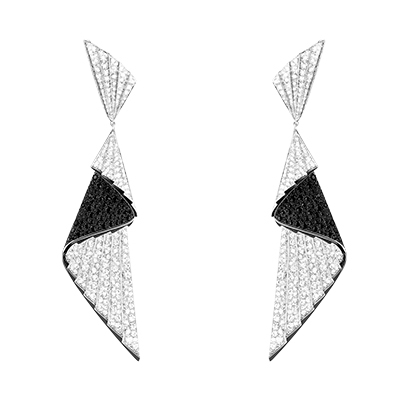 Plissé Diamants earrings, paved with diamonds and black spinels, on white gold. 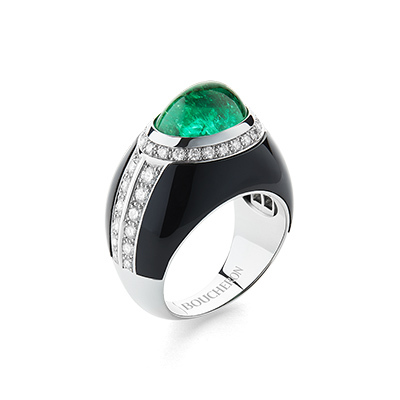 Cabochon ring, set with a 3,99 cts Colombian emerald cabochon, onyx, paved with diamonds, on white gold. 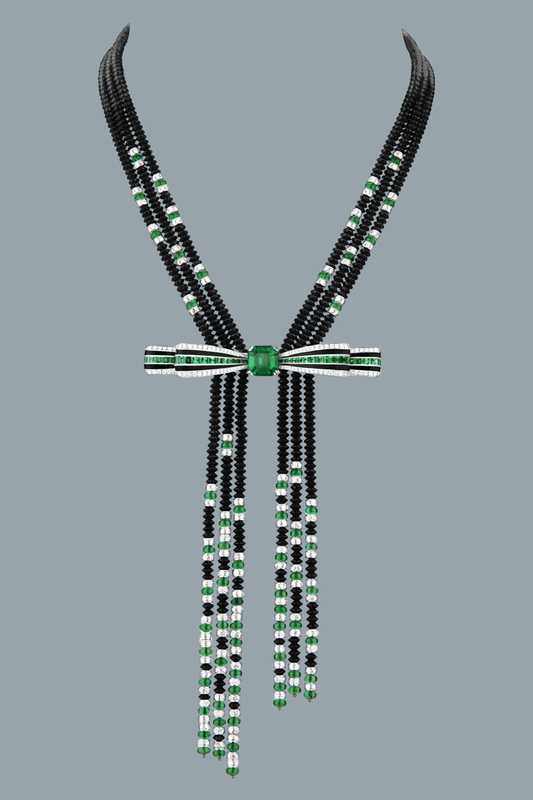 Ruban Graphique necklace, set with a 4,45 cts Colombian emerald, emeralds, diamonds, onyx, black lacquer, paved with diamonds, on white gold. 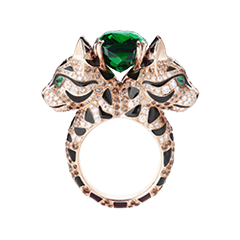 Ruban Graphique ring, set with a 3,70 cts Colombian emerald, black lacquer, paved with diamonds and emeralds, on white gold. 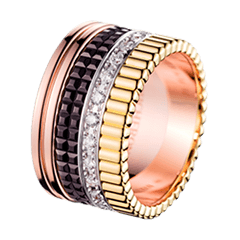 Ruban Graphique ring, set with a 3,04 cts ruby from Mozambique, black lacquer, paved with diamonds and rubies, on white gold. 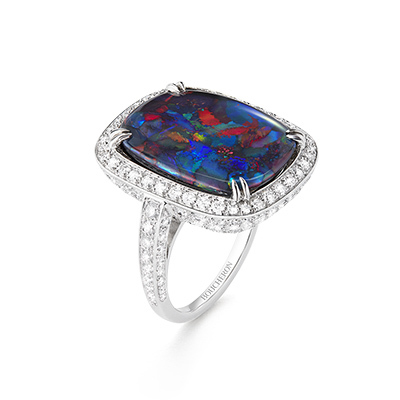 Joy ring, set with a 7,79 cts black opal from Australia, paved with diamonds, on white gold. 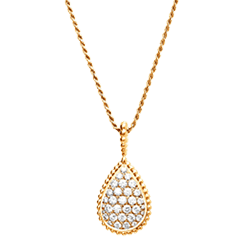 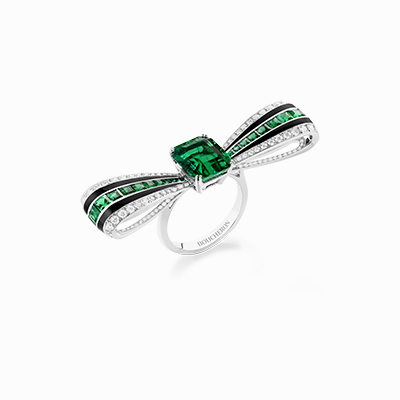 A mantle of light, a ripple of diamonds, a graphic ribbon made of emeralds and rubies – an array of pieces to wear like precious garments. 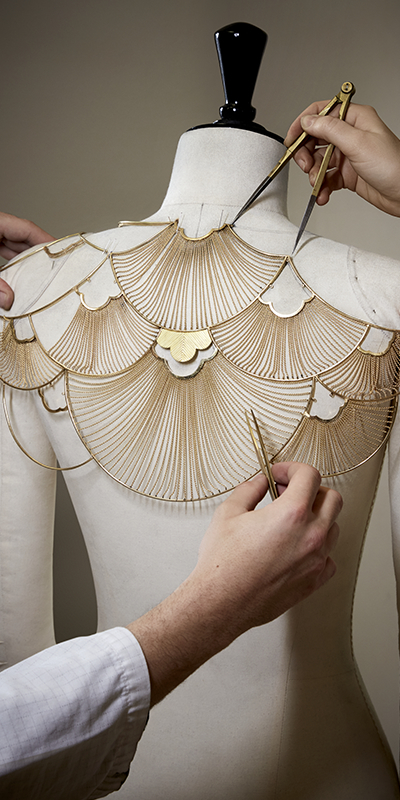 Is it bejewelled couture, or hand-sewn jewellery? 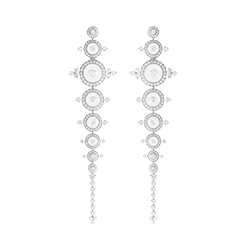 Here, the realms of Haute Couture and High Jewellery come together and fuse into one, with no way of telling which has the upper hand. 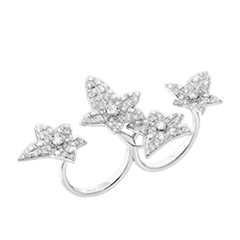 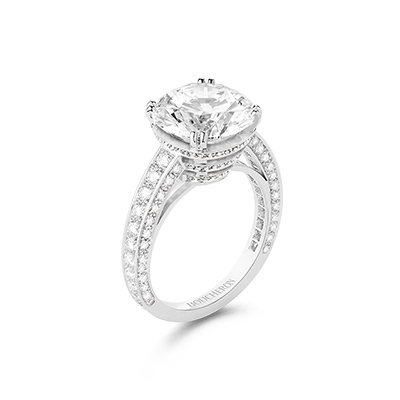 26 Vendôme ring set with a 5,05 cts diamond, paved with diamonds, on white gold. 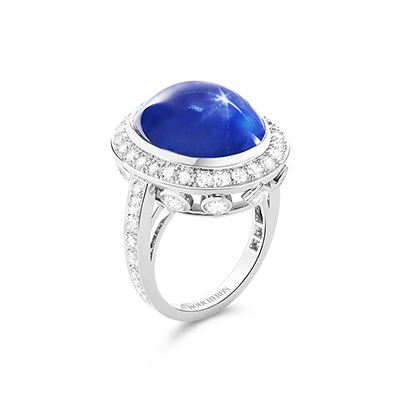 Joy ring, set with a 27,55 cts Ceylon star sapphire cabochon and diamonds, paved with diamonds, on white gold. 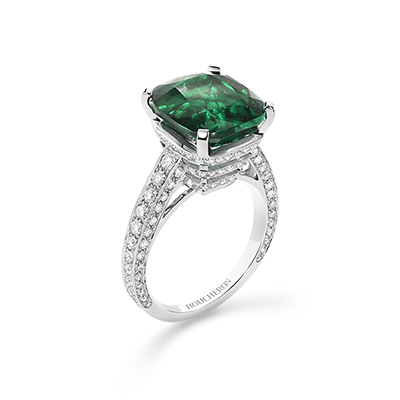 26 Vendôme ring, set with a 6,20 cts Colombian emerald, paved with diamonds, on white gold. 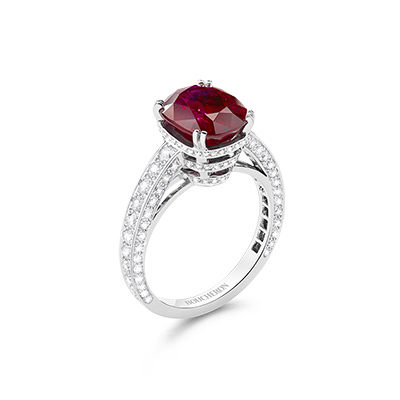 26 Vendôme ring, set with a 4,02 cts Burmese «pigeon’s blood» ruby, paved with diamonds, on white gold.